Your garage door consists of several moving parts that work together each time you press your garage door opener transmitter or wall button. After being operated more than a thousand times per year, these components may show signs of wear and tear, which can subsequently cause the door to malfunction. Maintaining your garage door is one of the most cost-effective ways to prevent problems. The garage door also includes various safety mechanisms. Monthly testing is required to ensure these features are functioning properly. 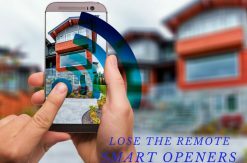 Nonfunctional photoelectric sensors, incorrectly programmed travel and force limits, and unbalanced garage doors can cause the door to stop opening and closing. 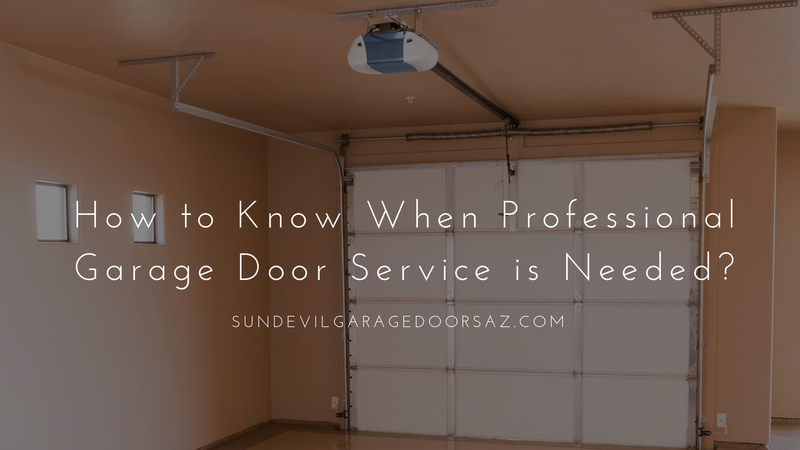 In these situations, professional garage door service is required for the door to operate smoothly and safely. Installed six inches above the floor of the garage on each side of the door are two photoelectric sensors. The sensors are designed to watch for obstructions. Upon detection, they then send an alert to the opener, instructing it to reverse the downward momentum of the door. Photoelectric sensors should be routinely tested to ensure they are functioning properly. If you can open your garage door but find closing it to be a challenge – the door either will not close or starts to close but reverses to open – then the safety eyes are likely to blame. This commonly occurs when they are misaligned, their lenses are dirty, or something is obstructing them. The first thing to do is move anything that may be blocking them. If this isn’t the problem, the next step is to clean the lenses using a clean, microfiber cloth and a mild detergent. Follow this up by realigning the sensors. Accurate leveling is required. Always retest between repairs. If the door still won’t close, you should call a garage door professional to come inspect, repair or replace this vital component. Travel limits regulate the points at which the door will stop when opening or closing. Force limits control how much push or pull is used in the door’s operation. These limits are set during the installation of a new garage door opener. Too much force can interfere with the reversal mechanism, putting the door in a precarious position. Force limits should be tested like clockwork each month. With the door fully open, lay a 2×4 flat on the floor, centered directly under the garage door. Operate the door in the down position. Upon contact with the wood, the door must immediately reverse direction. If the door stops on the obstruction, it is not traveling far enough, but if it fails to reverse, the closing force is excessive. Either way, the door should be serviced by a trained service technician. One of the greatest concerns associated with an unbalanced garage door is the possibility of the cables or springs breaking. This can occur if the door is left in disrepair for too long. An unbalanced door has the potential to cause property damage, physical hazard, and inconvenience to you or your family members. It’s important to test the balance of the door each month. To test, start with the door closed, then release the automatic opener. Follow manufacturer’s instructions. Once you’ve disconnected the door from the opener, manually lift the door three or four inches off the ground and let go. The door should lift smoothly with little resistance and remain in the open position. If the opposite is true, then it may be out of balance. An additional method for determining whether the door is properly aligned is to visually inspect it. An unbalanced garage door will appear uneven as it moves up and down the tracks. It might also make strange noises or fail to open. Adjusting an unbalanced garage door is a job for professionals only. Please do not attempt to repair the door yourself! If you experience any problems with your garage door, no matter how small or big, the best course of action is to contact a professional garage door service technician. Because most garage doors weigh more than 100 pounds, fixing any issues yourself is not advisable. 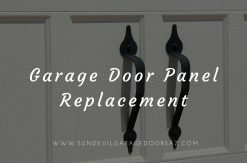 Sun Devil Garage Door Repair services all garage door and automatic opener brands. We even offer same-day and emergency repair services.